High quality progressive die metal stampings. Time is money. Prompt reply within 24 hours is the key principle when we are helping with our clients, no matter it’s a problem or an order. 100% of our manufactures are taking placed in our Taiwan facility. Made in Taiwan is now a high quality warranty for many products. Got sample or drawing only? No problem. Our engineer read drawings and have ability to innovate your design just to help you cost down and create more value at the same time! With experienced molding skill we know how to save the material and labor expense and meanwhile still keep good quality! Feel free to send us inquiry now! Business Description: HSIEH Metal Stamping was founded in 1985 and has been specialized in Metal Stamping and Molding products. We are sizable and reputable corporation. Our factory is located in New Taipei City, Taiwan. For decades we have helped our customers succeed by providing a good value on a wide range of engineered and standard component solutions. We response to requests quickly. 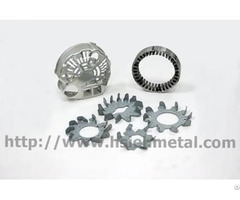 HSIEH Metal Stamping has extensive experience in doing OEM/ODM business in accordance with customer's needs. Our complete quality control systems ensure high quality standard. Our experienced manufacturing skills, superior quality, competitive prices and excellent service can meet the market trend and customers' expectations.